The two agencies of the U.S. government that take climate change most seriously are the Pentagon and the Department of Homeland Security. They foresee droughts, floods and storms on a scale that will create global political instability and millions of climate refugees, mainly from countries already ravaged by war and poverty. While other parts of the government dither and deny, they have spent billions since 2003 preparing for the coming emergency. Their preparation, however, is not aimed at preventing or slowing down climate change, nor is it principally aimed at relieving distress. Rather it is in protecting the U.S. homeland and American business interests from the desperate masses. 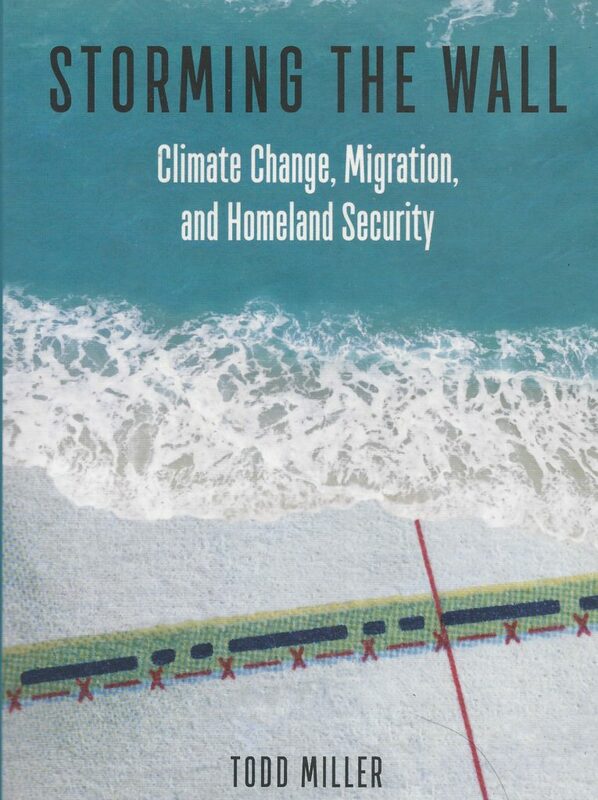 A journalist named Todd Miller did a good job of reporting on this in STORMING THE WALL: Climate Change, Migration and Homeland Security, published in 2017. He attended a Defense, National Security and Climate Change conference in Washington, D.C., in 2015, attended by top military brass and government and corporate officials. A NASA representative told how the Space Shuttle and F-35 fighter required chrome, columbium and titanium, which are sourced from South Africa, Congo and Zambia, all threatened with political instability due to climate change. It was at that meeting that Miller for the first time heard the expression, “military-environmental-industrial complex.” Billions of dollars are being spent to, on the one hand, wean the U.S. military itself from dependence on fossil fuels and, on the other, maintain the political and economic status quo in the face of climate-driven upheaval. He devoted several chapters of the book to migration from central America and Mexico into the southwest USA. He showed that the border is not a line on the map separating the United States from Mexico. The border area extends 100 miles into the interior of the United States, where Immigration and Customs Enforcement (ICE) acts like a military occupying force. Miller noted that an order by President Obama against racial profiling specifically exempted the Department of Homeland Security. It also extends down through Mexico into Central America, where there are a series of checkpoints, aided by U.S. military advisers and U.S. military equipment, designed to intercept migrants on their way. There are fewer arrests nowadays at the international border, but this may not mean that fewer people are trying to cross the border. It may just mean that more of them are intercepted before they get close. The U.S. Coast Guard nowadays does more than guard the coasts. After the 2010 earthquake, the Coast Guard patrolled the coast of Haiti, turning back anyone who tried to flee, and even set up a detention center at Guantanamo Bay. Migrants leave their home countries for many reasons—commonly poverty, war, tyranny or crime. But, in the words of a Marine Corps general, climate change is a “threat multiplier.” Events such as the 2015 drought in Guatemala, Honduras, El Salvador and Nicaragua make all the underlying social problems worse. The United States is not unique. The new “smart border” between Turkey and Syria has a new tower every 1,000 feet, a three-language alarm system, and “automated firing zones” supported by hovering zeppelin drones, Miller wrote. Experts say floods and a rising sea will cause millions to flee Bangladesh. India has a 2,000-mile ‘iron wall” on its border and soldiers with orders to shoot to kill. More than 1,000 Bangladeshis were killed between 2001 and 2011 while trying to cross the border. 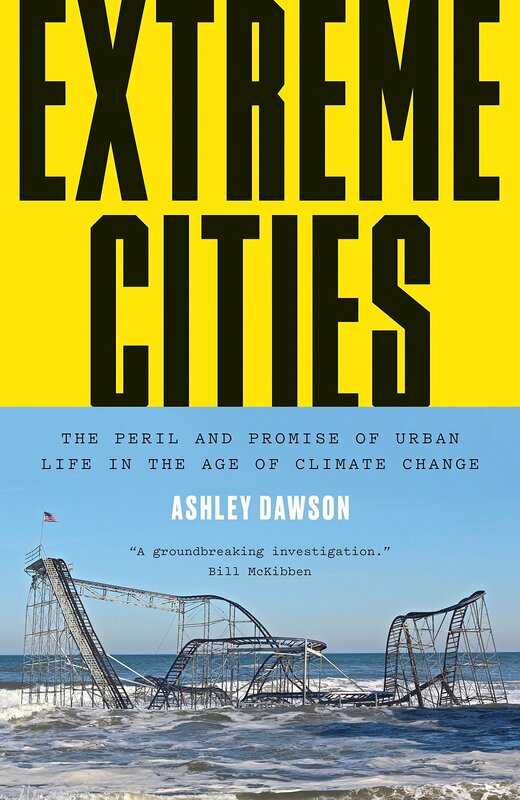 An extreme city, according to Ashley Dawson, is a city in which extremes of rich and poor render it unable to deal with extreme weather events. In case of storm and flood, the rich people on the high ground almost always get priority over the poor people down by the waterfront—what Dawson calls climate apartheid. And the people who live in rich places, such as Houston, who are mostly lighter-skinned, get priority over the poorer places, such as Port-au-Prince or San Juan, who are mostly darker-skinned. Beyond this, Dawson wrote, the incentives of a market economy will almost always favor real estate development over public safety. The best way to protect cities from high water is to pull back from the shoreline and create or expand wetlands to sponge up the high water. But property developers, not to mention individual homeowners, want seawalls to protect their investments and enable them to recover their sunk costs. Our economic system is based on continued growth. There is no incentive system for pulling back. Dawson said this is as true of New York City, where he lives, as it is of any city in the world. This is no small thing. Nearly half the world’s 7 billion people now live in cities. 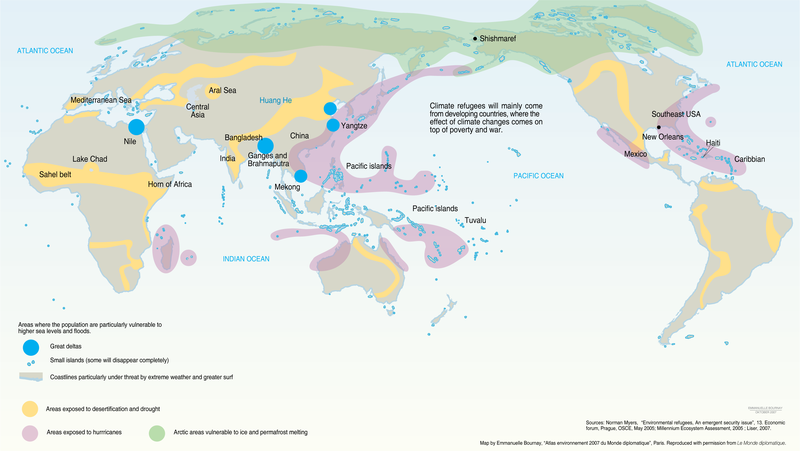 Virtually all of them are on ocean coastlines or other bodies of water. In the Global South, drought is driving increasing numbers of poor people off the land and into urban slums. Dawson does not view global warming as a doom we can avoid if we try hard enough. He sees it as an emergency that is already upon us, and that most of us are unprepared for. 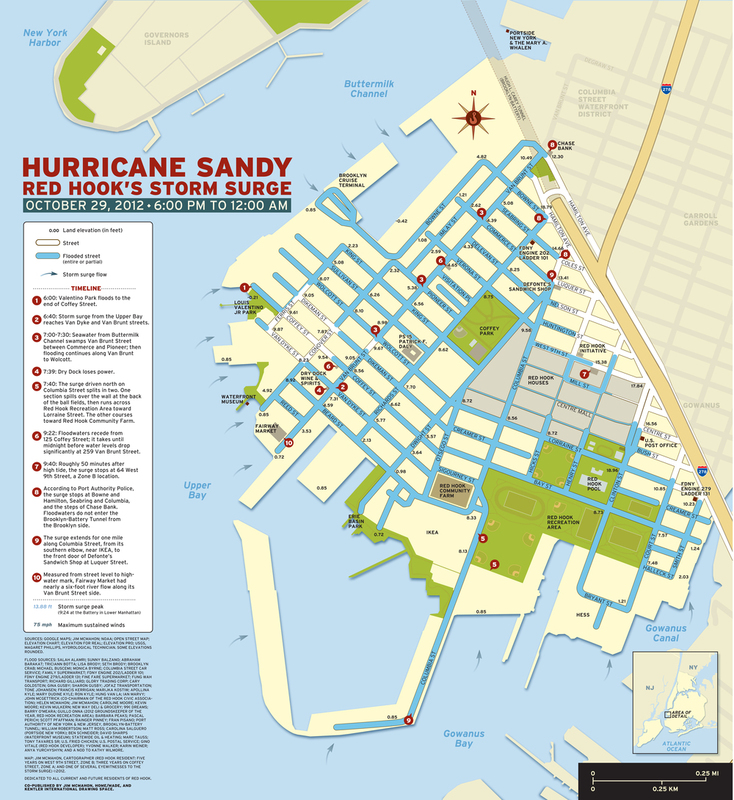 When Superstorm Sandy was about to hit New York City in 2012, the city government told residents of the potential flood areas to evacuate. Soon after subway service was shut down, which meant that those without cars were stranded in their neighborhoods. Soon after high water left thousands without access to electricity and heat, or to essential supplies. The first responders were volunteers, including veterans of the Occupy Wall Street movement, who reconstituted themselves as Occupy Sandy. They did whatever it took to provide food and water and rescue stranded elderly and disabled people on upper floors of apartment buildings. The official disaster relief agencies showed up only a few days date and, according to Dawson, were happy to make use of Occupy Sandy and other volunteers, but reluctant to help or share information. The reason, he said, is that the official organizations are engaged in a dog-eat-dog competition for funding and don’t want any of their rivals to gain an advantage. Dawson wrote that when Mayor Michael Bloomberg showed up at the flood-stricken Red Hook neighborhood in Brooklyn, the only people he wanted to talk to were the business owners. They were the ones who got the funds to rebuild. The neighborhood and Occupy Sandy leaders were brushed aside. 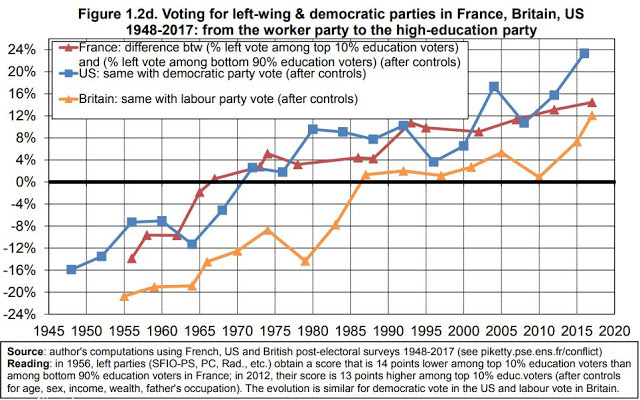 Left-wing parties in the UK and France, as well as the USA, are gaining support of the educated classes while losing support of blue-collar workers. The French economist Thomas Piketty said politics in these three countries is a conflict between the “Merchant Right” and the “Brahmin Left,” a high-incom elite vs. a high-education elite. I don’t know about the specific situation in France, but it’s clear to me that the leaders of Democratic Party in the USA and the Labour Party in the UK care more about the material interests of a professional class than they do about the material interests of workers. Brahmin Left vs. Merchant Right: Rising Inequality and the Changing Structure of Political Conflict by Thomas Piketty. How the left stopped being a party of the working class by Simon Wren-Lewis for his Mainly Macro blog. The financial crash of 2008 was worldwide, and the failure of governments to address the causes of the crash also was worldwide. Because the same thing happened in different countries under different leaders, the reasons for failure are systemic, not just the personal failings of particular leaders. The solution must be systemic. A mere change in leaders is not enough. 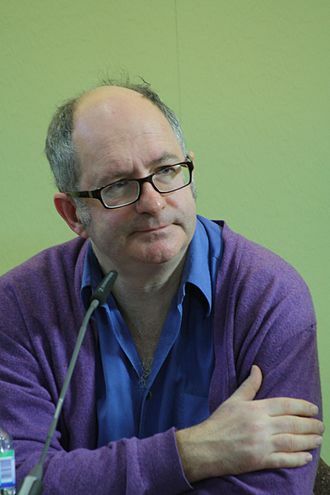 John Lanchester, writing in the London Review of Books, wrote an excellent article about the crash and its aftermath. I hoped to call attention to it in my previous post, but, as of this writing, there has been only one click on the link. I know people are busy and have many claims on their attention. If you don’t want to bother reading the full LRB article, here are some highlights. If you’re an American, bear in mind that, even though so much of what he wrote applies to the USA, his focus is on British policy. The immediate economic consequence was the bailout of the banks. I’m not sure if it’s philosophically possible for an action to be both necessary and a disaster, but that in essence is what the bailouts were. They were necessary, I thought at the time and still think, because this really was a moment of existential crisis for the financial system, and we don’t know what the consequences would have been for our societies if everything had imploded. But they turned into a disaster we are still living through. The first and probably most consequential result of the bailouts was that governments across the developed world decided for political reasons that the only way to restore order to their finances was to resort to austerity measures. The financial crisis led to a contraction of credit, which in turn led to economic shrinkage, which in turn led to declining tax receipts for governments, which were suddenly looking at sharply increasing annual deficits and dramatically increasing levels of overall government debt. In addition, there were no successful prosecutions of anyone at the higher levels of the financial system. Contrast that with the savings and loan scandal of the 1980s, basically a gigantic bust of the US equivalent of mortgage companies, in which 1100 executives were prosecuted. What had changed since then was the increasing hegemony of finance in the political system, which brought the ability quite simply to rewrite the rules of what is and isn’t legal. Economists Angus Deaton and his wife, Anne Case, are authors of a study showing the increase in the rate suicide, and also of other “deaths of despair,” among middle-aged white Americans. The mystery is why there’s no such trend among black and Hispanic Americans, or among Europeans, even though many of them are struggling economically as much or more than white Anglo Americans. Deaton and Case, in an interview shown in the video above, saw the rising suicide rate as a failure of social and spiritual bonds, and not just a failure of public policy. They speculated that some white Americans are failed by their religion. He said many evangelical churches downplay social support because they believe salvation is an individual relationship with God. I think this is a stretch, and they don’t provide any evidence for this. My impression—admittedly based on limited experience—is that strict conservative churches provide at least as strong social support as mainstream churches. The isolated ones would be the ones who think they don’t need a church community because they have an individual relationship with God. This was true of J.D. Vance’s troubled family, which he described in Hillbilly Elegy. When trouble comes, his family didn’t have any support system beyond each other. Of course, all other things being equal, unbelievers suffer just as much or more from lack of a church community. I think we white Anglo Americans are brought up to think that society is basically fair and that anything that happens to us is our own fault. We’re taught to keep trying despite setbacks, and not to give up. This is good—up to a point. 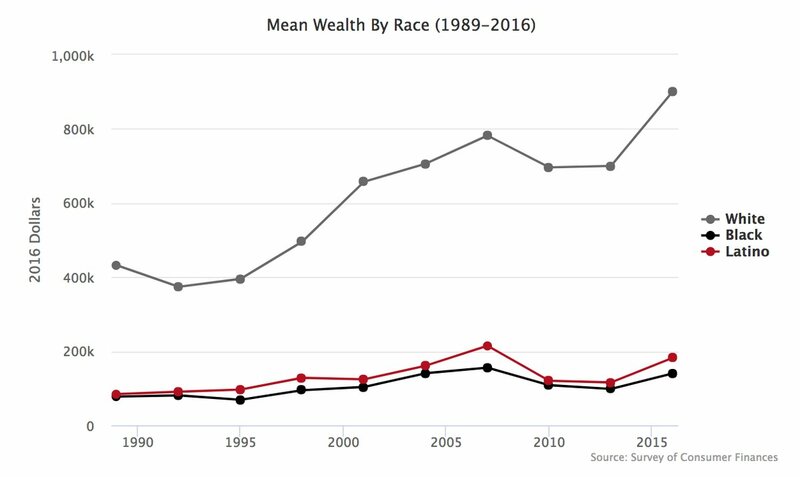 My guess is that black and Hispanic people on average are more aware that life is unfair and that they don’t invest so much of their self-esteem in being breadwinners. My other guess is that life is more meaningful to those who join in solidarity with others to fight for change. In an interview linked below, Deaton said the problem is not economic inequality as such. It is fairness, he said. It is not unjust for someone to get rich by creating something of value. What matters is how you get rich. He said the problem is that so many of the economic elite get rich through what he called “rent seeking”—extracting money from people without contributing anything of value. The health insurance industry is an example of this. Monopoly or “oligopoly” (control by a small number of firms) are a big part of the problem, he said. Lack of competition results in lower inflation-adjusted wages, higher prices, fewer jobs and slower productivity growth. Self-described progressives and conservatives ought be able to in fighting monopoly. Angus Deaton on the Under-Discussed Driver of Inequality in America: “It’s Easier for Rent-Seekers to Affect Policy Here Than in Much of Europe”, an interview for Pro-Market, the blog of the Stigler Center of the University of Chicago Booth School of Business. Photojournalist Chris Arnade believes American society is divided into a Front Row, which is doing well, and a Back Row, which is being left behind. The following is from his Twitter feed. The prevailing culture honors the Front Row, and public policy rewards it. 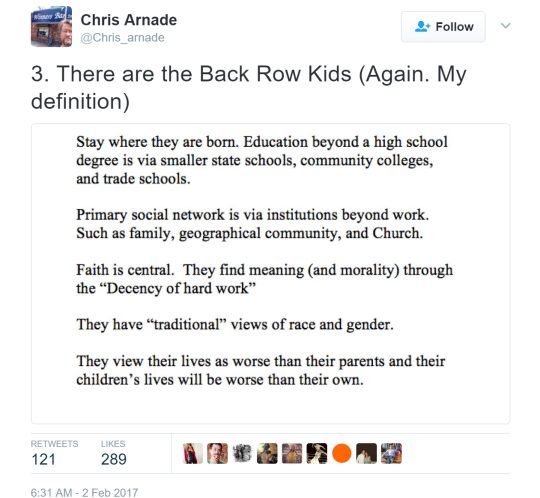 The prevailing culture disrespects the Back Row, and public policy ignores it. Chris Arnade spent 20 years as a Wall Street investment banker, then quit in 2011 to start a new career as a photojournalist, first interviewing and photographing drug addicts and prostitutes in the Bronx, then traveling across the country to talk to working people and poor people who’ve been left behind in the new economy. Arnade said that what he concluded was that addiction is the result of isolation, isolation is the result of rejection and the chief source of rejection is the U.S. educational system. The U.S. educational system, he said, teaches that the way to achieve success is to go to a good college, leave home and devote yourself to achievement in your professional life. Those who do this successfully are the elite in American life. The problem is that not everybody is able to succeed this way, and not everybody wants to do this. Some people put family, community and religion first. In this respect, he said, there is little difference between black people and white people, or between Anglos and Hispanics. 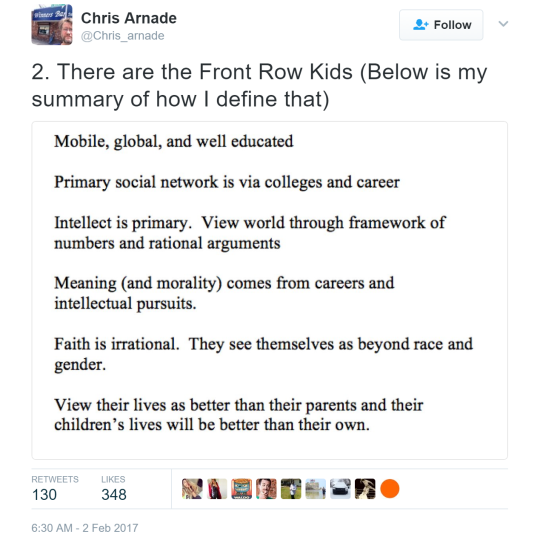 Arnade calls the first group the Front Row and the second group the Back Row. The Back Row are not only disrespected, Arnade said. The economic system is rigged against them. Every important decision on national policy, since at least the North American Free Trade Agreement (NAFTA) in 1994, has put the interests of the Front Row ahead of the Back Row. The one institution in society that welcomes the back row is the churches, he wrote. He himself is an atheist, but he said that churches welcome you, no matter what your credentials or lack of them. I’m not sure that is true of all churches, but his point is correct. Another place the Back Row is welcome, he said, is McDonald’s restaurants. McDonald’s original business model was a place where you can get in and get out quickly, but McDonald’s and other fast-food restaurants have become places where you can get a nourishing meal at a low price, charge your cell phone and hang out with friends. Most of them have an old man’s table that retirees have staked out for their own. 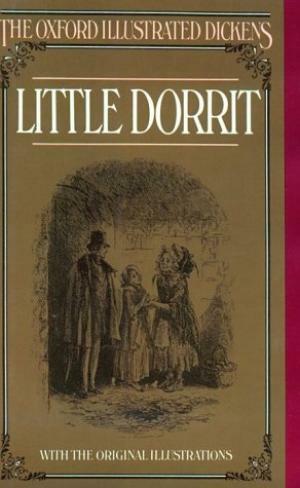 I read Little Dorrit as part of a novel-reading group hosted by my friends Linda and David White. Reading the novel as part of group helped me appreciate how great Charles Dickens was—as a descriptive writer, as a storyteller and as a student of human nature. The moral center of the novel is Amy Dorrit, a young woman born in the Marshalsea, a famous debtors’ prison in London, where her father has been imprisoned as a result of business failure. She is called ‘Little’ Dorrit, rather than by her name, because she is small of stature and looks more like an adolescent girl than a full-grown woman. She embodies the specifically Christian virtues. She is loving, self-sacrificing, humble, forgiving, patient, devoted, uncomplaining and thankful for every blessing. This makes her as out-of-place in class-conscious Victorian London as she would have been in the Rome of Quo Vadis or in success-seeking 21st century USA. From a young age, she is a virtual parent to her father and her older brother and sister, for which they show little or no gratitude.. She learns how to read and write, learns marketable skills from other inmates and gets a job outside the prison to an elderly rich businesswoman, Mrs. Clennam. Her father, William Dorrit, over the years creates an identity as “the Father of the Marshalsea,” to whom visitors and other debtors have to pay tribute and acknowledge his superior status. Despite William’s dependence on Little Dorrit, he condemns her for befriending fellow inmates, such as the mentally retarded Maggie, because this undermines his pretensions to superior social rank. Amy’s beautiful gold-digging older sister, Fanny, and shiftless older brother, Edward, take the same attitude. Mrs. Clennam is the other character in the novel whose life is shaped by religion. In contrast to Little Dorrit’s, her religion consists in obeying strict rules concerning personal conduct and business obligations, and in showing no mercy to those who do not. Her religion makes her unhappy, and causes her to make others unhappy. Little Dorrit is sometimes sad, but she is capable of being happy and she does nothing to make herself unhappy. The disparity in wealth between black and Hispanic Americans on the one hand and non-Hispanic whites is striking. 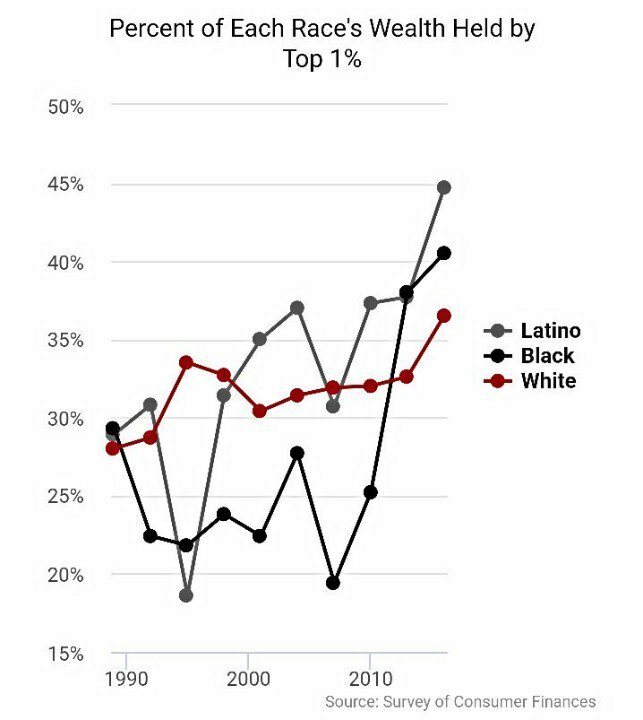 The disparities in wealth within each racial group also are striking. I’ve posted many charts about the growing concentration of income and wealth in the United States in the hands of a tiny elite. 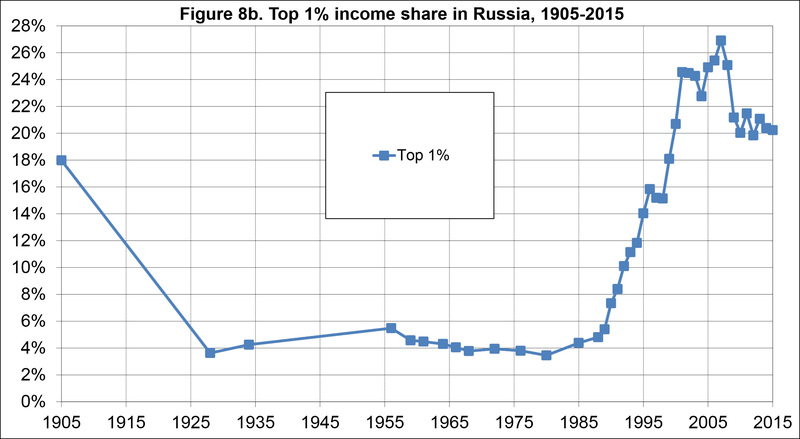 Here is a chart illustrating inequality in Russia. You should take note about what this chart shows and doesn’t show. The ruling elite in the old Soviet Union didn’t have large incomes, and they didn’t live like American millionaires and billionaires, but they did have special privileges, much like military officers compared to the rank and file or like American corporate executives with huge expense accounts. They had special stories, special medical care, special schools for their children, etc. Also, the chart indicates that relative equality isn’t everything. I don’t think many Americans would have wanted to trade places with the average person in the old Soviet Union. 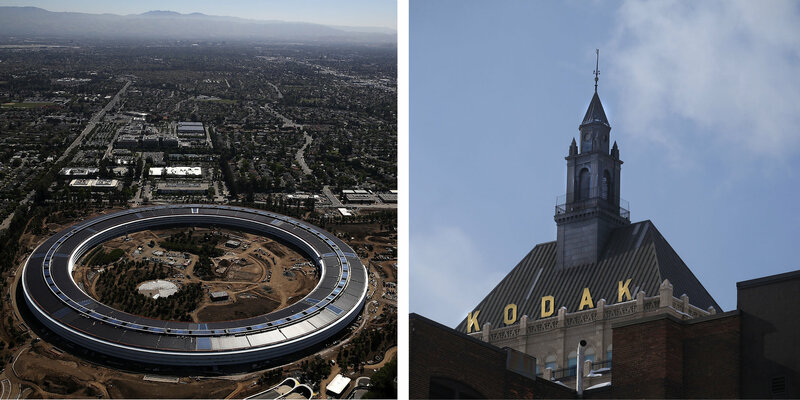 Neil Irwin of the New York Times wrote a good article about Eastman Kodak, Apple Computer and how the economy has changed for working people. Gail Evans and Marta Ramos have one thing in common: They have each cleaned offices for one of the most innovative, profitable and all-around successful companies in the United States. The $16.60 per hour Ms. Ramos earns as a janitor at Apple works out to about the same in inflation-adjusted terms as what Ms. Evans earned 35 years ago. But that’s where the similarities end. Ms. Evans was a full-time employee of Kodak. She received more than four weeks of paid vacation per year, reimbursement of some tuition costs to go to college part time, and a bonus payment every March. When the facility she cleaned was shut down, the company found another job for her: cutting film. Ms. Ramos is an employee of a contractor that Apple uses to keep its facilities clean. She hasn’t taken a vacation in years, because she can’t afford the lost wages. Going back to school is similarly out of reach. There are certainly no bonuses, nor even a remote possibility of being transferred to some other role at Apple. This is from a Twitter thread by Theresa Nielsen-Hayden. 1. The rich don’t need federal health insurance. Their up-and-coming competitors, who aren’t rich yet, do: one major illness can wipe them out. 3. Social Security, so a lifetime of hard work doesn’t end in misery. Student financial aid, so that talent + hard work can = achievement. 4. Bank regulation, so our careful savings and investments aren’t wrecked by irresponsible games the big-money guys play with each other. 5. Health and safety regulations, because it shouldn’t be okay to maim or poison people who don’t have clout. And so forth. 6. Us little guys shouldn’t have the nerve to start new businesses, develop new products, or go as far as our work and talent will take us. 7. Poor whites are supposed to stay poor, and know in their bones that they’re born to sorrow, and their luck will never last. 8. Blacks should keep quiet, and do first-rate work on jobs that are well below their ability, because things can always get worse, y’hear? 9. There’s no point in women having ambitions, because one little mishap can wreck everything you’ve worked for. 10. Keeping the rest of us in a constant state of low-level fear is the one consistent goal of the policies the donor class supports. 11. Why? Because we have to tolerate some risk in order to successfully compete with them and their less-than-talented offspring. 12. I’m not talking about rational, calculable risks. I mean the unforeseeable: illness, accidents, market crashes, natural disasters. 13. They want us to know in our bones that we have no defense against risk. If *anything* happens, we’ll be stuck paying for it forever. 14. We’re not allowed to build a more level playing field that we all share. They want us out of the game entirely, so they can always win. 15. Meanwhile, they’re always angling to get their own risk reduced. Always. Because winning. 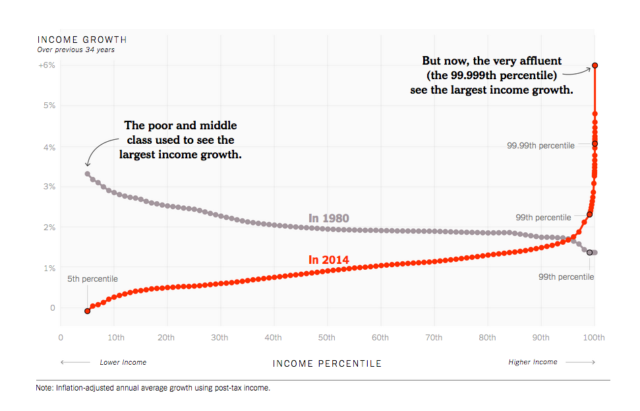 This chart, from an article in the New York Times, shows the growth of inequality in the past 37 years. The income growth that took place in 1980 benefited everyone, but primarily those at the bottom of the income scale. That didn’t mean the rich became any less rich. In fact, their gains measured in dollars rather than as a percentage probably were greater. But a rising tide lifted all boats. By 2004, things were just the opposition. Most of the income growth that took place in that year was concentrated among the top income earners. There is an interactive chart in the original article that shows the hockey stick pattern began in the 1980s, but really shot up beginning in the 2000s. Deregulation created new ways you could to get rich in ways that didn’t create value for others. Refusal to prosecute meant that you could get rich dishonestly and keep what you had. The Trump administration will not change this. It is making things worse by advocating for eliminating what little financial regulation there is, and by granting tax relief that primarily benefits the upper brackets. Our Broken Economy, In One Simple Chart, by David Leonhardt for the New York Times. How Did They Get So Rich? by Matt Breunig for Jacobin. [Added 8/10/2017] Breunig shows that the great increase in the income of the wealthy came from ownership of capital. They became so much richer because they were already rich. American Airlines agreed this week to do something nice for its employees and arguably foresighted for its business by giving flight attendants and pilots a preemptive raise, in order to close a gap that had opened up between their compensation and the compensation paid by rival airlines Delta and United. Wall Street freaked out, sending American shares plummeting. After all, this is capitalism and the capital owners are supposed to reap the rewards of business success. 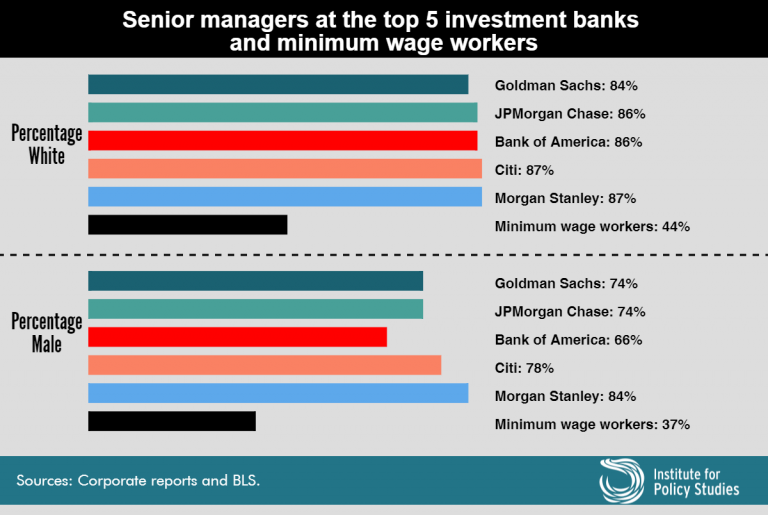 Indeed, major financial players were so outraged by American’s decision to pay higher wages that they punished airline stocks across the board. American itself took it hardest on the chin, of course, but the consensus among stock analysts was that higher pay at American could signal higher pay at other airlines too, with negative consequences for the overall industry. Double click to enlarge. Source: Visual Capitalist. 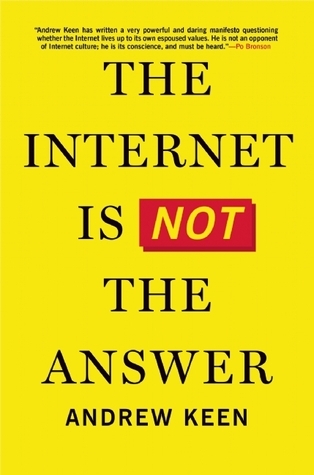 Andrew Keen’s book, The Internet Is Not The Answer (2015), which I recently finished reading, is a good antidote to cyber-utopians such as Kevin Kelly. Keen says the Internet is shaping society in ways we the people don’t understand. Some of them are good, some of them are bad, but all are out of control. Like Kelly, he writes about technology as if it were an autonomous force, shaped by its own internal dynamic rather than by human decisions. Unlike Kelly, he thinks this is a bad thing, not a good thing. The Internet is a job-destroyer. 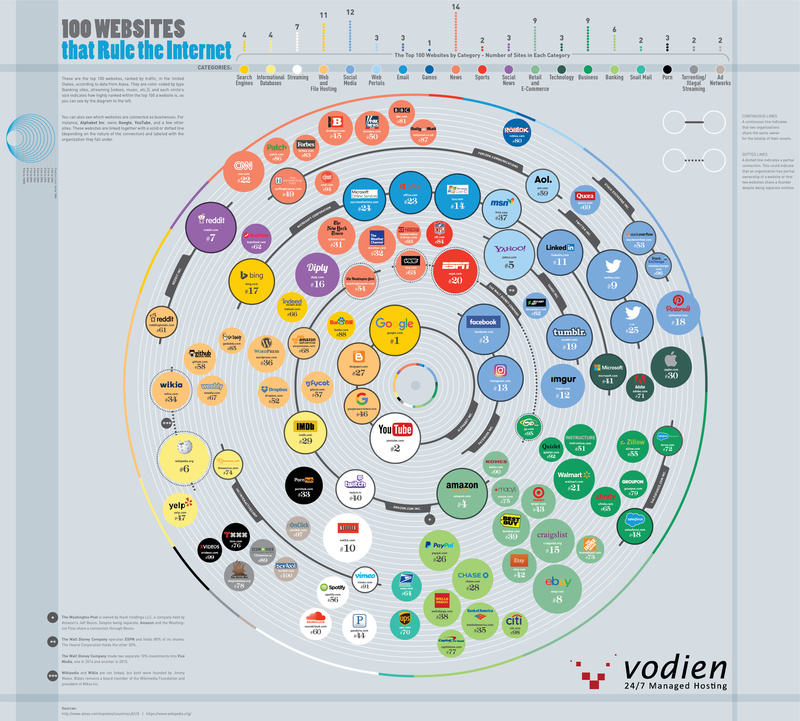 The Internet enables surveillance and invasion of privacy. The Internet enables anonymous harassment and bullying. What he doesn’t quite understand is that the “we” who shape the tools is not the same as the “us” who are shaped by them. Or to use Marxist lingo, what matters is who owns the means of production. Technology serves the needs and desires of those who own it. Technological advances generally serve the needs and desires of those who fund it. Advances in technology that benefit the elite often serve the general good as well, but there is no economic or social law that guarantees this. This is as true of the Internet as it is of everything else. 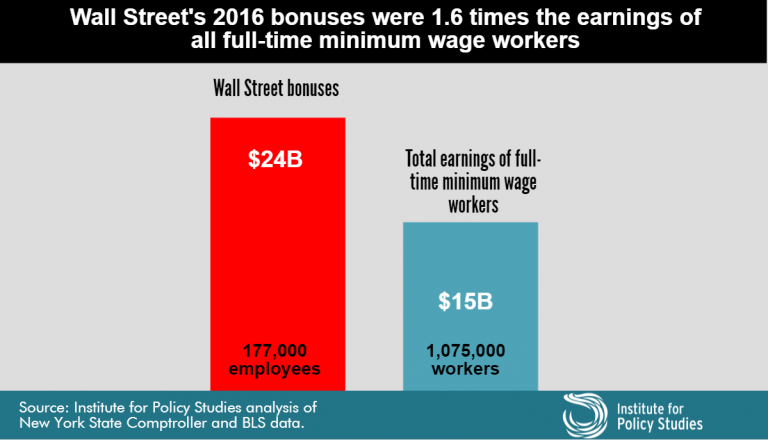 Most Wall Street activity is devoted to diverting money from one person’s pockets to another person’s pockets. Most minimum wage workers do things that are directly beneficial to people. The past financial crash was worse because Wall Street bankers and financiers took risks with other people’s’ money. 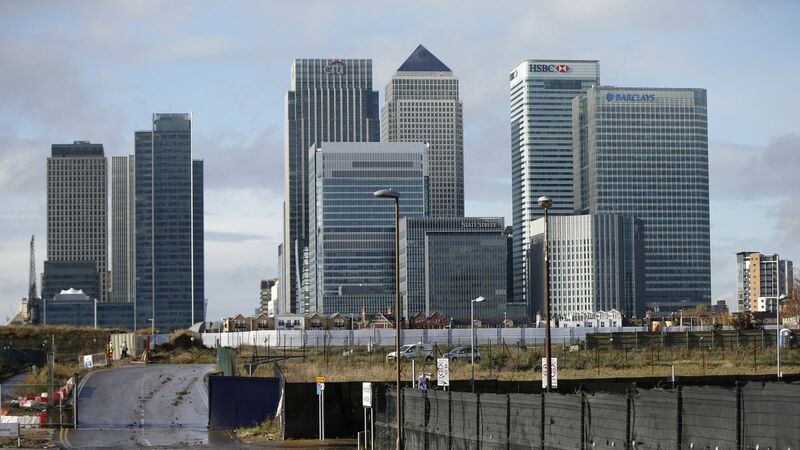 The coming financial crash will be worse for the same reason. 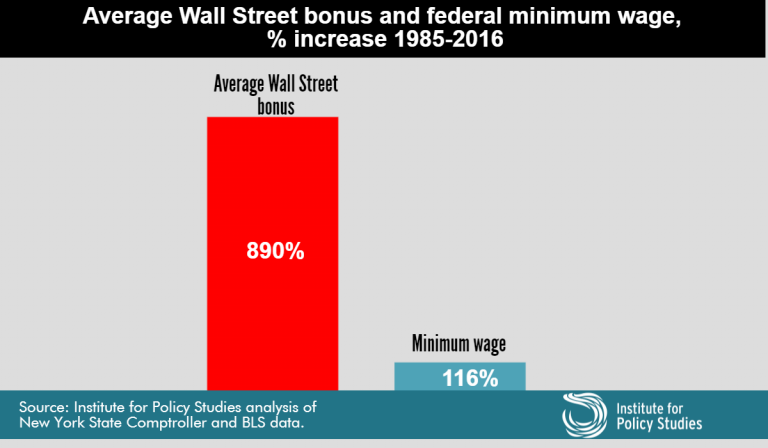 The Wall Street bonus system is an incentive to take risks, because the managers get to keep the bonuses when they win and they do not have to give them back when they lose. This is old news, I guess, but worth keeping in mind. In the years right before the French Revolution, did eight aristocrats own as much as the poorest 50 percent of the French peasants? 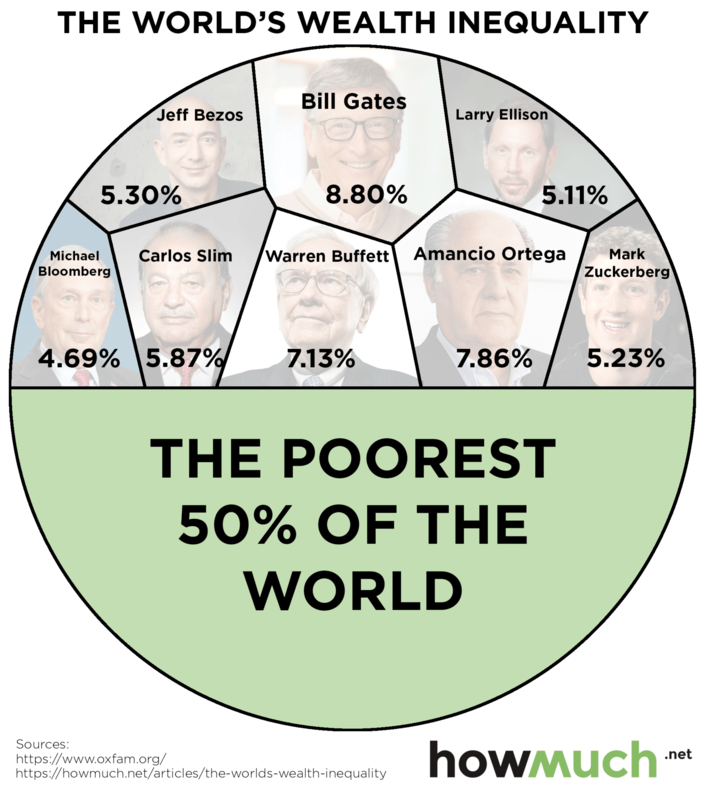 Visualizing a Disturbing Truth: 8 Billionaires Own As Much as 3.6 Billion People for howmuch. Explains who the eight billionaires are. Income share for the bottom 50 percent of Americans is collapsing, new Piketty research finds by Steve Goldstein for MarketWatch. The underlying meaning was that it was part of the nature of things for black people to be poor and marginalized, but there was something deeply wrong with white people who let themselves sink to the same status. I just finished reading a book, WHITE TRASH: the untold 400-year history of class in America by Nancy Isenberg (2016), that tells how these attitudes go back literally to the first settlements at Plymouth Rock, Jamestown and before, and persist today. Today’s poor rural Southern white people of today may literally be lineal descendants of the convicts, debtors, beggars, orphans, homeless vagrants and unemployed vagrants who were shipped to England’s North American colonies in the 17th century. Many were victims of the enclosure movement, in which wealthy landowners privatized common lands formerly used by small or tenant farmers, leaving them without an obvious means of livelihood. These displaced poor people were regarded as useless—much as workers replaced by automation are regarded by economists and corporate executives today. The prevailing attitude then was that families were “the better sort” or “the meaner sort,” that they were “well-bred” or “ill-bred”. Today we think of “good breeding” as applied to individual persons as meaning the person has been taught the proper way to behave. Back then, roughneck poor people were regarded as inherently inferior. Our American tradition is that the seeds of our nation were planted by freedom-seeking New England Puritans and adventurous Virginia Cavaliers. This is true, but only a half-truth. The ships that brought them to the New World also brought penniless, landless English poor people, who were regarded as surplus population. What set the English poor white colonists apart was that they were not given land. They were intended to be servants and field workers. When black African slaves turned out to be more efficient and exploitable workers than indentured English servants, they lost even this role. Even so some of the poor whites acquired property and a measure of social status. White Trash is about the descendants of the ones that didn’t. They fled to the western frontier of settlement. But the wealthy and well-connected had already obtained title to most of the frontier land. Poor whites became squatters. They contended that clearing, improving and planting land gave them the right to have it; title-holders disagreed. This was the source of much conflict both in the colonies and the newly-independent United States. Hat tip to occasional links and commentary. Radicals propose a universal guaranteed income for all, regardless of whether you are gainfully employed or not. But as Matt Breunig pointed out, it already exists in the top 1 percent and 0.1 percent income bracket. They receive income from their financial assets regardless of whether they work or not. There is a strong argument for a guaranteed. It is that the reason that the national wealth today is greater than in the past is largely due to the inventiveness and effort of our ancestors, not to anyone living today, and that therefore all of us are equally entitled to the fruits of their effort. This was the philosophy of the social credit reform movement, which provided the background for Robert A. Heinlein’s great utopian science fiction novel, Beyond This Horizon. Grant that extreme economic inequality is a bad thing. Grant that ever-increasing economic inequality is a bad thing. Grant that complete equality of incomes is not feasible and maybe not desirable. How much equality is enough? The economist Friedrich Hayek wrote in The Road to Serfdom (as I recall) that it is impossible that people could reach a consensus on what each and every person deserves. Once you reject complete equality, he wrote, the only acceptable distribution of income is what results from the impersonal working of the free market. A democratic government could never determine a distribution of income that is satisfactory to everyone, or even a majority, Hayek thought; if it tries, the result can only be gridlock and a breakdown of democracy. Prosecute those who get rich by lawbreaking. Set limits on unearned income. Empower labor unions and cooperatives. Provide good public services to all, regardless of income. Provide decent jobs for all who are willing and able to work. It’s a bad thing when the rich get richer and the poor get poorer. But suppose the rich got richer, but the poor didn’t get poorer. What would be wrong with that? Is the problem with economic inequality in and of itself? Or would extreme differences between rich and poor be bad even if they poor did have enough—whatever your definition of “enough” happens to be. New Dealers in the 1930s thought that increased incomes for the poor would be good for everybody, including the rich. 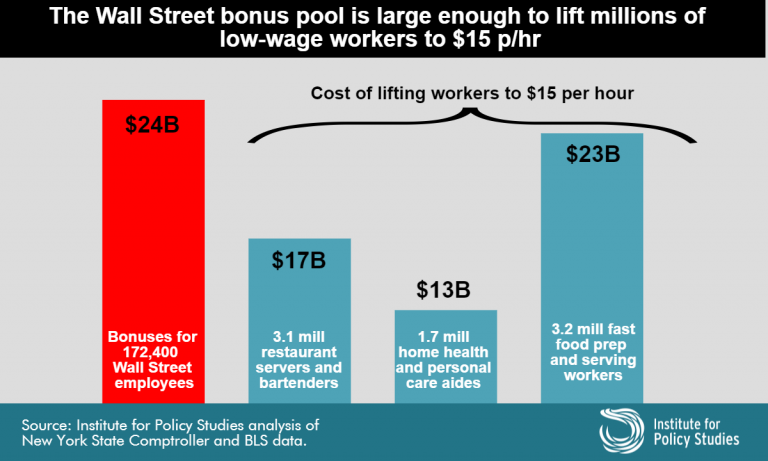 If poor people had more money to spend, that would increase demand for goods and services, and get the economic going. The “supply-siders” in the 1980s thought that increased incomes for the rich would be good for everybody because that would make more capital available for investment. That turned out not to be true, for reasons I came to understand later, but suppose it had. Would that be bad? I think it would be. I didn’t always think so, but I think so now. These two charts, courtesy of Prof. David F. Ruccio, show the changing distribution of wealth and income in the USA. Please keep in mind that while the chart below refers to the top 1 percent of income earners, the chart above refers to the top 1/100th of 1 percent of wealth holders. During the presidential primaries, Clinton supporters were prone to downplay the importance of economic inequality. Black people, they said, were only concerned about racism and racial discrimination, not the gap between rich and poor. But a Pew Research Center survey indicates that economic inequality is in fact the top issue among African American voters. The survey indicates that 77% of American black voters view the gap between rich and poor as a very big problem, followed by crime (68%), with relations between racial and ethnic groups coming in third (61%). Black Americans are much more concerned about crime than white Americans, which should not be surprising, because, as a group, they are much more likely to be victims of crime. Interestingly, black Americans are less worried about immigration than white Americans, or even Hispanic Americans, are. A blogger named Fred Reed sees parallels between the United States today and France on the eve of the French Revolution. I know three young women of exceptional intelligence and talent, all of them mature and disciplined. They cannot find jobs. It is not from lack of trying, far from it. One of them is married to a hard-working man in a highly technical field usually associated with wealth. He is paid a low hourly wage and forced to work on contract, meaning that he has neither benefits nor retirement. His employers know that if he leaves, they can easily find another to take his place. They have him where they want him. [snip] In numbers that a half century ago would have seemed impossible, the American young live with their parents, being unable to find jobs to support themselves. Waitressing in a good bar pays better in tips than a woman with a college degree can otherwise earn, assuming that she can earn anything at all. Employers having learned to hire them as individual contractors, they move into their thirties with no hope of a pension for their old age. Desperation and hatred are close cousins. Meanwhile, Jeffrey Bezos of Amazon makes spaceships and buys the Washington Post as a toy and the newspapers have reported that a Croesus of Wall Street has bought a Modigliani, it may have been, for $55 million dollars. [snip]. The homeless in San Francisco are now described as “a plague.” There seem to be ever more of them. But not to worry. Never worry. The stock market remains exuberant. In nearby Silicon Valley, a man buys a new Lamborghini every year.